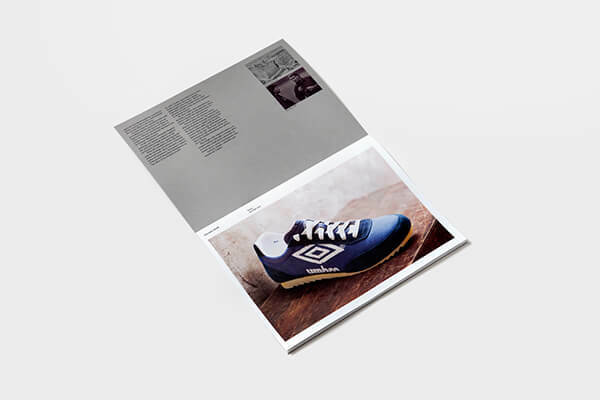 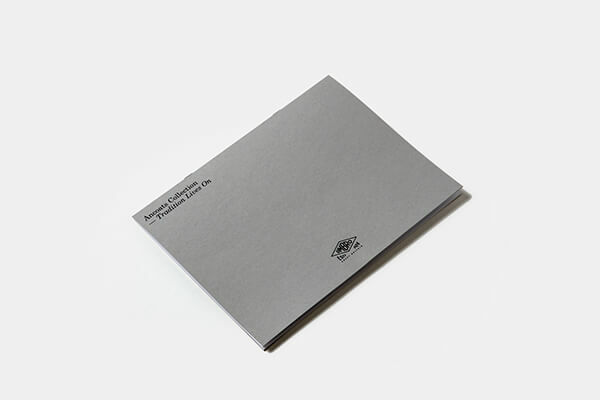 The brief required a small but beautifully designed booklet around Umbro’s new footwear model, the Ancoats II to created in a quick turnaround ahead of the sell in of the product range. 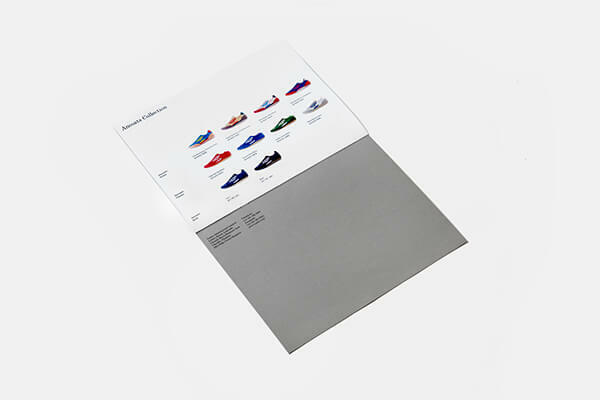 The booklet would be used by the salesmen when approaching buyers such as Size and Schuh. 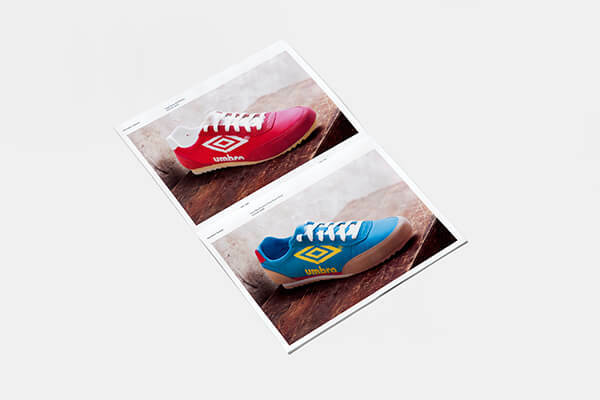 Duties on this project included product photography, retouching and layout artwork.